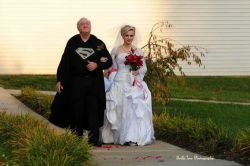 While most of the nerd community ships Miss Quinn and the Joker, cosplayers Jessica and Jonathan Carroll were wed in their cosplayer personas. 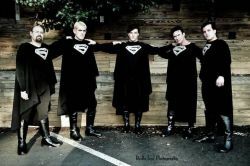 The groomsmen wore the finest Kryptonian robes (which Jonathan made himself), and the bride’s dress was custom made with a ‘jester’ theme. 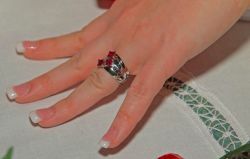 Her ring was also custom, with three diamond shaped rubies surrounded by black diamonds. 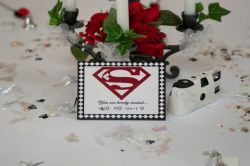 Everything about this wedding was nerdy, but done in a beautifully classy way! 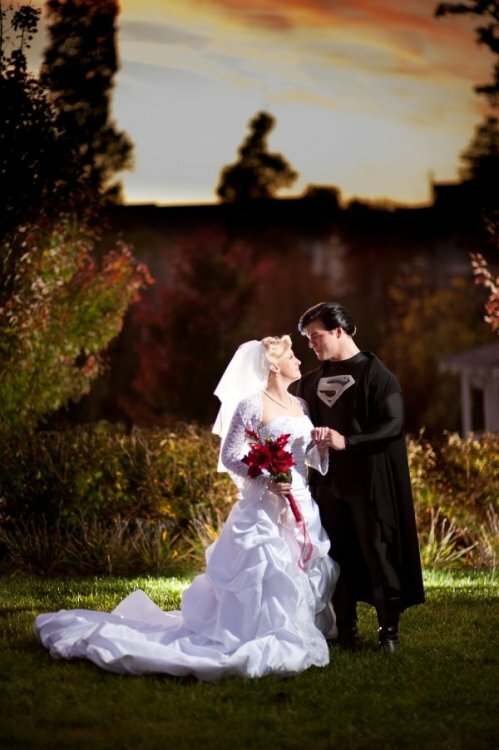 This entry was posted in Interweb, Uncategorized and tagged Cosplay, Harley Quinn, Superman, Wedding. Bookmark the permalink.